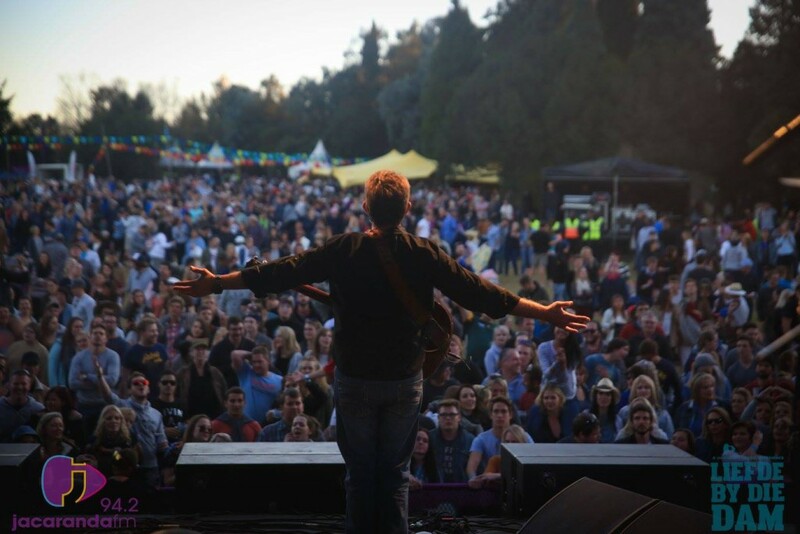 Day music festivals are becoming more and more popular in South Africa. In fact come to think of it, there are probably more day festivals than weekend festivals these days. The Jacaranda FM music experience, Liefde By Die Dam, proved that it is possible to cram one day to the brim with musical goodness. Emmarentia Dam must be one of the most beautiful spots in Jo’burg. The natural beauty acted as an excellent backdrop to the electrifying sounds that came from the festival area. The freedom of Youth Day was the perfect excuse for young and old to join in on the fun at Liefde By Die Dam and people arrived in their masses. Of course the biggest draw card of the day was the super diverse and talented musical line-up. Afrikaans heartbreaker, Brendan Peyper, kicked the day off at Liefde By Die Dam. With a thundering backtrack he announced his presence and with his question “Waar is al die boeremeisies?” to the crowd he started his first song. His show was a mixture between his Afrikaans pop hits (including “Tafelberg Vir Twee” and “Stop Wag Bly Nog ‘n Bietjie”) and popular cover songs (including his rendition of Bieber’s “Love Yourself” and Billie Ray Cyrus’s “Acky Breaky Heart”). I saw many girls asking their boyfriends to take pictures of them in front of the stage with Peyper in the background. Needless to say, the boyfriends solemnly agreed. Peyper has talent, yes, but aren’t the days of backtracks over? I really hoped so. Majozi is a showman of note. A theatrical atmosphere of sounds started his show and he kept me engaged throughout. His songs have power and meaning and were performed with a clear vision in mind. Seeing this artist for the first time, I know I will be back at his shows to experience this one-of-a-kind magic again. I love how nonchalant Valiant Swart is about his talent. Cruising on to stage wearing a hoodie and jeans, he just is what he is and frankly, doesn’t need to prove anything to anyone. After decades in the industry he has carved himself a remarkable career. Heck, even the festival is named after a song of his with the same title! Valiant’s show was laid-back and set the perfect mood for a relaxed public holiday. Blackbyrd was up next, boasting their spot as the only females on the festival line-up. These three ladies know how to entertain a crowd and have immense stage presence. They had everyone singing along in no time on their hits like “I Feel Good Today” and “Better In The Morning”. The day took a sudden turn when Francois van Coke and his powerful band took their places on stage. Although Francois’s music is appealing to a larger audience these days, the rock edge is still very evident. He rocked out with the crowd with songs off his first solo album. We are ecstatic to hear the next album is on its way (to be released in February 2017)! Following hot on Francois’s heels were Die Heuwels Fantasties. This alternative Afrikaans act has also proved themselves as a crowd favourite and Liefde By Die Dam was no exception. The collabs between Francois and DHF were also noteworthy and made the day extra special. 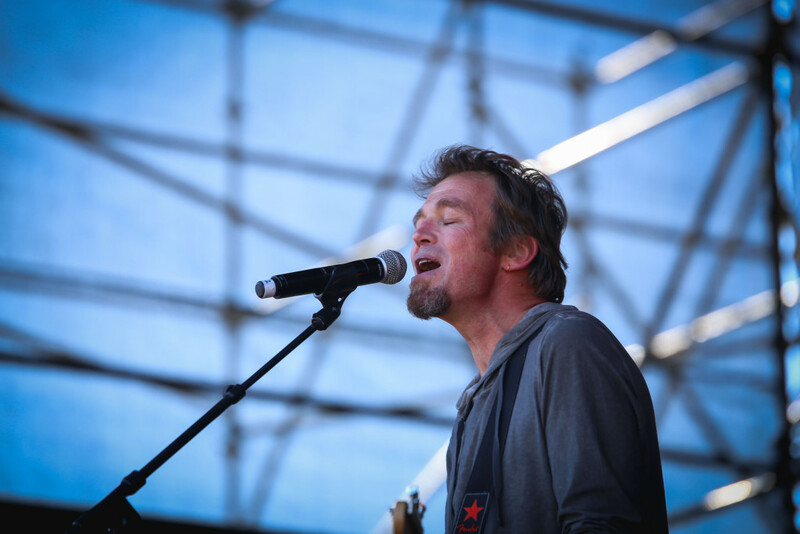 Theuns Jordaan ended the day with a lively performance. 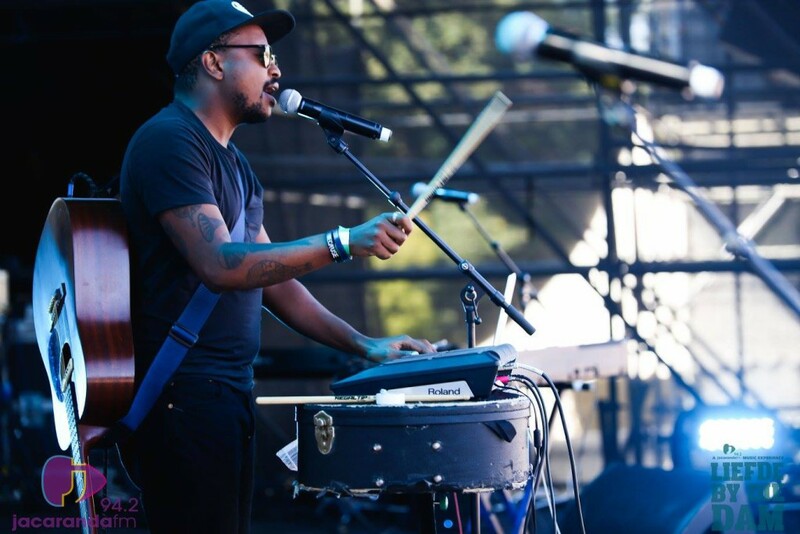 Although not the most obvious choice for a festival headliner, the crowd’s loud singing and absolutely enjoyment of his show, proved that Theuns still has what it takes to be at the top of the music game. Liefde By Die Dam was such a beautiful day out for the whole family. With music to suit any age or taste, Jacaranda FM had the winning recipe. How about a Liefde By Die Dam Part II on Heritage Day? I’m in! Previous articleBringing Back Eyeliner – All you need to know about EMO NIGHT RSA.